Product #20601 | SKU ES-T15-A | 0.0 (no ratings yet) Thanks for your rating! 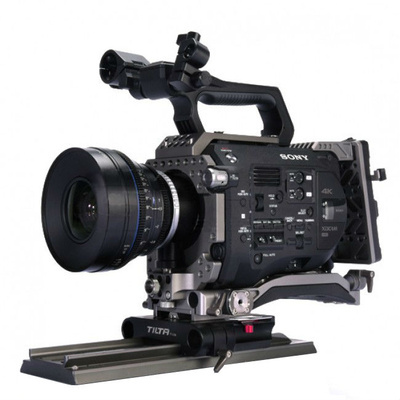 The Tilta Sony FS7 Rig-A is a basic rig designed for use with the Sony FS7. It incorporates an FS7 specific VCT compatible baseplate with 15mm clamps on front and back. ARRI rosettes are found at the front on either side for mounting compatible handles. It is made using precision machined anodized aluminium.